Holy Cow! The car was awesome. First time on the track with the LSD, MS6 brakes, coilovers, 10" wheels, etc. The car was incredibly well balanced, grip was insane, brakes were great. The car just stuck in the corners and the LSD just powered it back out. There were 173 cars at the event, about 30 in my run group, the 6 was among the fastest. I got almost 4hrs of track time and got some great video. I'll need some time to go thru it and clean it up. Ya'll get out there and race your 6's - they can hang with the best of them. It's a good feeling when all the modifications work out to create a great track car. Lot less noise from the tires as you finessed the turns. 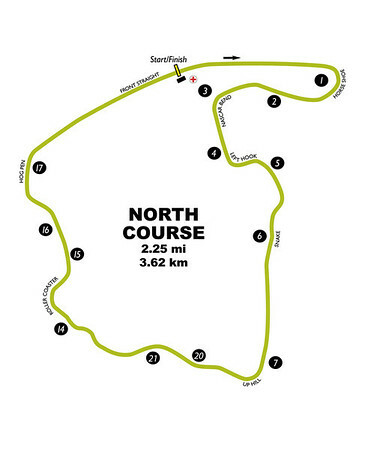 That right hand turn to the other track lloks tricky, the type of thing where by optimizing the exit speed you carry that speed for some distance. On the long straight, did you just lift at 105mph to keep the revs down? I just watched about 2/3 of it .... I'll be back! Yeah, the car was sooo much fun! Yeah, that right-hander to the uphill is T7. 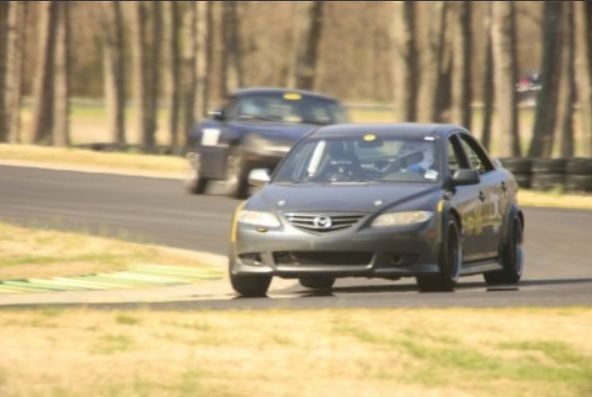 The trick is late entry and then full throttle - letting the downforce of the hill help you corner. The key is to be pointed in the right direction as you crest the hill because the car gets light and loses grip. Most times (in the Saturday clip I linked) I was entering too early - I got better at it Sunday. 1. The car is electronically speed limited to 120mph. If you notice from my telemetry, we never get much above 110 mph. The car's speedo reads a bit over 120 because I'm running shorter tires than the ECU thinks I have. 2. Since I knew I was speed limited, at times I was short shifting to 5th rather than wind the revs up in 4th. 3. My clutch is just about used up so I was babying it a bit. I barely have an inch of pedal before it disengages. In fact a couple times on the main straight and the bridge straight it was slipping. Can't complain, I've had that clutch in since 2007. Bigger tires for next set should help with topping out, but you will miss that gearing effect ! My 924T had too tall gearing for the track, so I changed from a 65 series (stock street tires) and went to 50 series, same width. Huge difference pulling out of some corners ... even an instructor back then commented about it. Forgot to ask, how did you set your rear sway bar? Bigger tires for next set should help with topping out, but you will miss that gearing effect ! I've been thinking about this myself. My current 275/35/18s are 25.58"dia compared to the OEM 215/50/17s at 25.46"dia that the ECU thinks I have. It seems like the speedo should be about right and I should be able to get to 120 before the ECU starts shutting me down. I think the bigger issue is gearing. Being a frugal family sedan, 4th and 5th are over-drive. Unfortunately, I seem to be topping out at around 112mph. I think a couple of things are going on: I'm short shifting to 5th because the revs are building very slowly in 4th and I'm thinking "this isn't being nice to the engine". 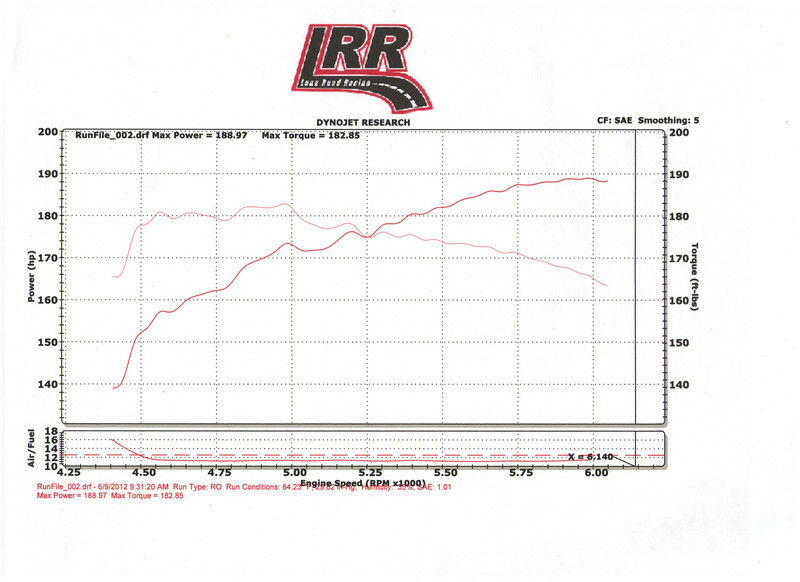 Remember from my Dyno run, peak torque occurs at about 4950rpm and drops pretty linearly from there to redline. So the revs are trying to build as the torque is dropping resulting in the car not gaining much speed at the top end of 4th gear. It seemed like with the shorter tire I was getting 2-3mph more on the straight - I assume due to the lower overall gearing. Not sure what my next step is. Given the power and weight of this car, I should be able to get to 120 easily. Last edited by CanyonRider; 04-18-2014 at 01:21 PM. Unfortunately, 29s aren't going to fit - we need a different final drive gear, say 3.7. Man, that car is STUCK to the ground, and good driving!